Topnetworkersgroup here with a message on why you want to Avoid Being an MLM Hypocrite. One of the first lessons I ever learned in MLM is that people are watching you. There are so many reasons why people fail to make money in MLM; they fail to get customers; they fail to find business partners - and a major reason is they are unaware that people are watching you. When you approach someone to try your product or your service, they will usually give you one of 3 answers. Sure, Maybe, or No. This is the kind of basic knowledge that is missing from most people I talk with. Because of this reason, many network marketing companies are not performing at their best. If more people had this basic knowledge they would make decisions that reflect this - instead most are approaching MLM as if no one can see them. We have too many MLM Hypocrites in the industry today. It's true, you DO want people to focus on their MLM Career. That reason can be explained in an awesome video I saw from Eric Worre on, burning bridges. When you join an MLM company, you still have the option of going back to the job world. You still have the option to pursue other career paths. Ultimately, to make money in MLM you must decide that you are going to make money in MLM. You cannot be in MLM one week, and be out of it the next. You can't get away with that. In fact - you look like an MLM Hypocrite to everyone that you've talked to; telling them that MLM is a better way to make money. Maybe you told them MLM can help you retire from your job. People look up 3 months later and you're talking bad about MLM. It makes you look like you never knew what you were talking about. It hurts your brand. Same goes for Silly Rabbits who jump from MLM Company to MLM Company. This sends the wrong message to others who are watching. This causes people to become disillusioned with our way of doing business. People who followed the UOP leaders in DSDomination for several months closed their minds to all other ways of earning money. The moment those leaders were terminated, they jumped ship to a new company. They look like MLM Hypocrites. For several months they exclaimed that they would never do anything else. Now, they're doing something else. DSDomination was a great opportunity for them; but the moment they got terminated It no longer was? You want to learn lessons from the mistakes others make. You also want to learn lessons from the mistakes YOU have made. One of the reasons I can write an article about being an MLM Hypocrite; is even I have fallen victim in the course of my career. I have made huge mistakes in my business career. I've told people to always look into companies before you endorse them; and have endorsed companies I really didn't look into. Lessons were learned from those mistakes. That isn't the case with many of the leaders from the former WakeUpNow; who are preparing to launch a 'new company' - which absolutely looks like it's ... still WakeUpNow. This is not a good example of learning from mistakes. One of the biggest reasons WakeUpNow fell apart and could not keep Quality leaders in the fold, was the fact that the products and services were not worth $99/mo - many people saw no use for the services. The energy drink, Thunder - doesn't taste that good and has a funny aftertaste. The truth was, most of those sales were going to distributors not to customers. In MLM companies, when most of the sales are going to distributors instead of customers; that's generally associated with being an Illegal Pyramid. 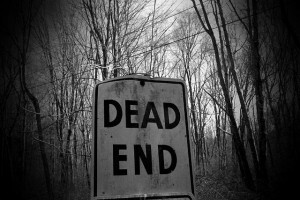 So I would not consider that 'learning life' - by going down that same road, that has already been traveled, only to reach a Dead end. Being an MLM Hypocrite is a dead end. It's not a path you want to travel. You want to learn to take YOUR own advice at all times. So many MLM hypocrites tell people to communicate with their sponsors - and don't. So many MLM Hypocrites tell people that their Job could lay them off at any time - that their business could go out of business; but they do not build their network marketing organization with this same knowledge in mind. Any business can go Out of business though. TopNetworkersGroup has said this since 2012. An MLM Hypocrite will tell others not to Prejudge their business - without looking; but will pre-judge OTHER businesses, without looking. 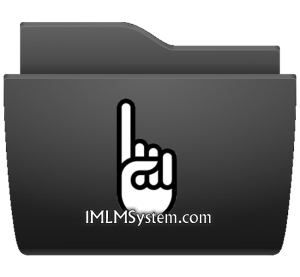 Many have Pre-judged our One MLM System - but have never been inside. Avoid being an MLM Hypocrite. We invite you to become a Professional Network Marketer - Take a look at some FREE MLM Training from our System Here - Thanks for stopping by.